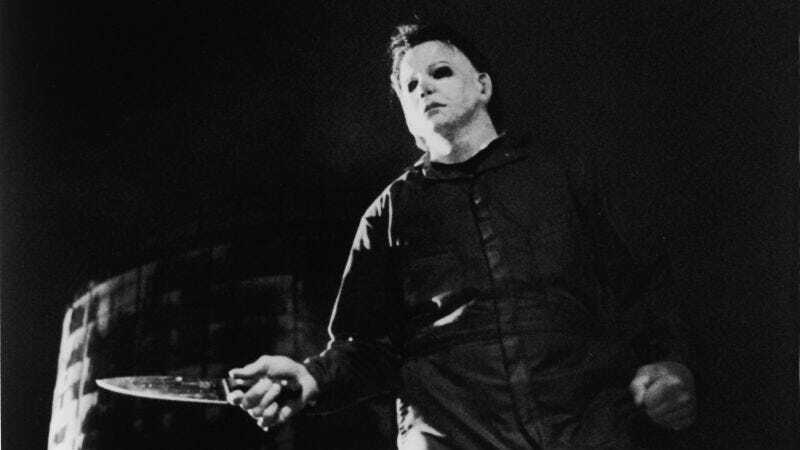 Michael Myers is occasionally depicted as an unstoppable murder machine, but one of his greatest weaknesses (beyond his distaste for running and the vulnerability of his eyes) is the fact that there’s only one of him. That will still be the case for director David Gordon Green’s reboot of the series, but he will at least have two separate guys wearing the mask and silently stalking Jamie Lee Curtis. We previously reported that original Michael Myers actor Nick Castle would be reprising his role as “The Shape,” but it turns out that his role is mostly a cameo. According to Halloween Daily News (via Screen Rant), actor James Jude Courtney will actually be doing the majority of the work in the revival, explaining in an interview that Castle did “kind of a cameo” including “a couple of scenes” with Courtney. John Carpenter’s original Halloween had a different actor play Michael when he didn’t have his mask on, so Green could be doing a similar thing here, but it sounds like there will simply be scenes in the movie that switch back and forth between the two actors playing Michael. Whatever it looks like in the final film, Courtney says he was just excited to have a chance to meet and work with Castle. He says they even shared a little “passing of the torch” moment, and in speaking with some foreign journalists who visited the set, Castle dismissed his own role in the new movie and said, “Jim is our Michael Myers now.